Formation of SweetRush SPARK team to focus on emerging technologies. San Francisco, CA, April 16, 2018 — SweetRush has acquired IDEA Workshop Costa Rica, a firm that specializes in the emerging technologies of Virtual Reality (VR), Augmented Reality (AR), Artificial Intelligence (AI), and the Internet of Things (IoT). IDEA Workshop will henceforth function as one of SweetRush’s main service areas, and is being absorbed into SweetRush’s newly formed emerging technologies group, SPARK. 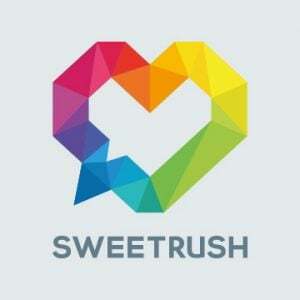 IDEA’s Adrian Soto is now Director of Future Technologies at SweetRush. “I love heading up creative efforts at SweetRush, but it’s not about jumping at the latest shiny object. It’s about finding better ways to connect with our audiences so we can better achieve our clients’ business goals”, says John-Carlos Lozano, SweetRush’s Chief Creative Officer. “Moving into VR and emerging technologies was a logical step for us and our clients, and thankfully Adrian Soto has over a decade of experience leading technology and innovation work units. He started IDEA Workshop in 2014, specializing in software and hardware integration and the emerging technologies of VR, AR, and the IoT”. “I am so passionate about this field. Deciding to join SweetRush and give up my own company was not an easy decision, but I saw that with them and their global reach, my work would have a greater impact”, says Soto. “And SweetRush has a culture I just love. We are doing amazing projects, and it’s already clear that I made the right decision”. SweetRush will present VR in the context of real projects at a number of upcoming industry shows: the ATD International Conference and Exposition (May 6–9), the eLearning Guild’s Realities360 (June 26–28), and the Training Industry Conference & Expo 2018 (June 26–28). SweetRush is also offering clients a full day Emerging Technologies (ET) Workshop. If you would like more information about this topic, please reach out to spark@sweetrush.com.